Join me for an authentic taste of the Spanish capital. 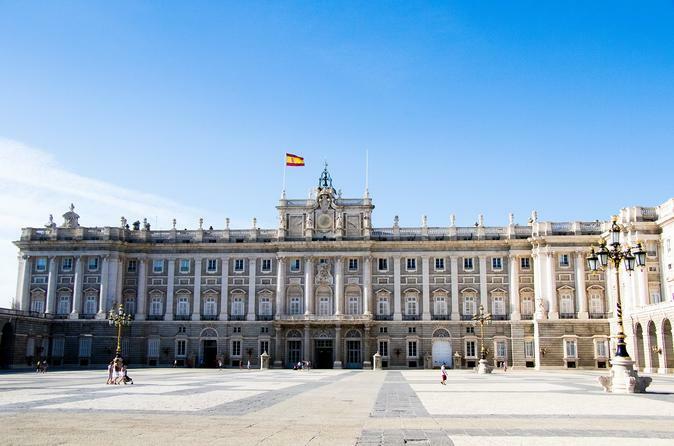 In this tour I will combine a guided tour of Madrid's beautiful Royal Palace - one of the most emblematic landmarks of the city (if not the country), with a delicious local meal. The city's most representative and classic dish, a true comfort food classic. This meal cooked with meat and chickpeas takes almost 4 hours to prepare; it is cooked in traditional clay pots. We will share a wonderful lunch with wine and a mouthwatering dessert and I will tell you all about local life in Madrid. Visit of the Royal Palace, and take a guided tour of this emblematic landmark. Join me for a traditional lunch in Madrid featuring one of the stars of the city's unique cuisine: the cocido madrileño followed by a tour of the Royal Palace. This delicious stew of meat and chickpeas is prepared according to an ancient recipe in earthenware pots. During the lunch I will give you my local insight on life in the Spanish capital, answering any questions you may have about the history, culture and cuisine. On this tour you will get to taste one of the most traditional and authentic dishes of Madrid, the cocido madrileño. You will meet other foodie travelers and a local guide who will tell you all about the history, culture and cuisine of Madrid as you share this delicious and hearty dish. The stew takes around 4 hours to prepare and is cooked inside of a clay pot, which lends a heavenly texture to the chickpeas and meat. Our 2-hour cocido lunch is designed for traveling foodies hungry for the authentic Madrid experience!